Whoops! Asus turns on Secure Boot for PCs that don’t support it, causing chaos. Some Asus PC owners running Windows 7 are being treated to an unpleasant surprise as their machines stop booting properly. As Infoworld reports, the problem stems from Microsoft’s Secure Boot mechanism, which is designed to prevent malware attacks and recently became enabled by default on Asus motherboards. Windows 7 does not support this feature, and for some reason a recent patch (KB 3133977) created a conflict that prevents the operating system from loading. 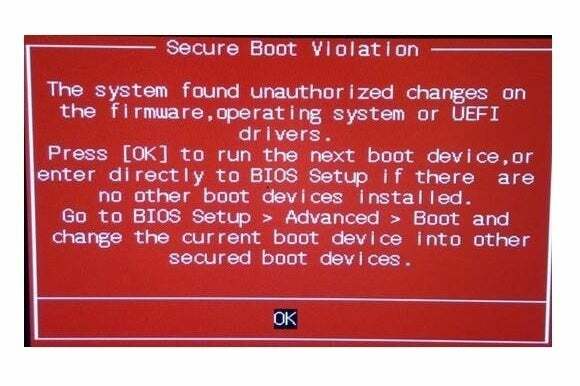 For users who are now locked out of their PCs, Asus has issued instructions on how to disable Secure Boot through their computers’ UEFI BIOS Utility. This should allow the system to boot normally—without having to upgrade to Windows 10. Why this matters: It’s unclear how many users have been affected by this snafu, but not being able to boot into Windows is a serious problem. Users may not be comfortable wading into BIOS settings, or even know where to start with the error message Asus is producing. Unfortunately the vastness of the Windows ecosystem means this kind of disregard for older PCs and operating systems can run with the territory.